Fighters with Afghanistan's Taliban militia stand with their weapons in Ahmad Aba district on the outskirts of Gardez, the capital of Paktia province, July 18. Civilian deaths in Afghanistan hit a new high in the first half of 2017 with 1,662 killed and 3,581 injured, the United Nations said July 17. WASHINGTON — The front lines between Afghan forces and the Taliban have moved little over the past half year, despite an increase in security incidences, according to a recent report by the Special Inspector General for Afghan Reconstruction. There were 6,252 recorded security incidences in Afghanistan from March 1 to May 31, 2017 — a 21 percent increase from last quarter and a 2 percent increase over the same point last year, according to a SIGAR analysis of a UN report. The Taliban were responsible for 64 percent of those incidents. Moreover, there were 5,243 civilian casualties from Jan. 1 to June 30, 2017, according to a recent UN report on civilian casualties in the nearly 16-year-long war. Casualties among Afghan troops also continue to rise. Afghan forces suffered 2,531 deaths as a result of combat operations and another 4,238 wounded in action, according to SIGAR. “According to DOD, since the [Afghan National Defense and Security Forces] took over operational control in January 2015, ANDSF casualties have ‘steadily increased,’ with forces conducting local patrols and checkpoint operations being especially vulnerable,” the report states. 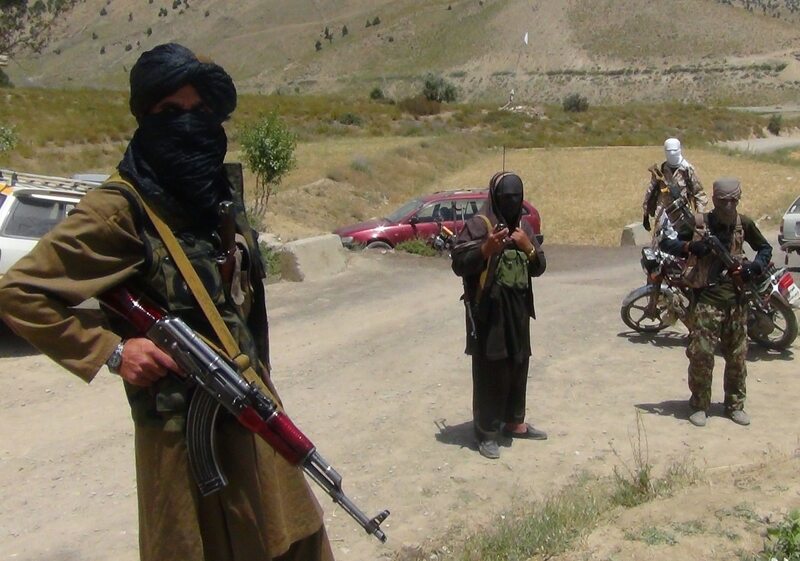 As lasting ground combat gains have stalled for a resurgent Taliban and Afghan government forces, Taliban militants have resorted to high-profile attacks and suicide bombings. In April, Taliban militants infiltrated Camp Shaheen near Mazar-e Sharif wearing Afghan uniforms and killed 250 Afghan soldiers, according to the SIGAR report. On May 31, the Haqqani network detonated a truck bomb in Kabul’s diplomatic center, killing 150 and injuring hundreds. It was described as “one of the worst terrorist attacks of the Afghan war,” by SIGAR. The Haqqani network is designated as a terrorist group by the U.S. and it has close ties to the Taliban. A recent UN report found that 1,151 of the 5,234 civilian casualties were a result of suicide bombings and complex attacks, “more than any previous six-month period since the mission began documentation in 2009,” the report states. The Afghan battlefield is in constant flux, with Taliban and Afghan forces trading control of districts over a period of a few days. Last week, Afghan forces took back Taywara district in Ghor province after it collapse in late July to the Taliban. The operation was independently run and supported by Afghan air assets, Capt. William Salvin, a spokesperson for Operation Resolute Support, told Military Times. The White House has yet to put forth a new strategy for America’s longest war. The Trump administration is allegedly considering drawing down America’s footprint in the war-torn country with military contractors filling the void. Frustrated by the Trump administration and Pentagon’s inability to put forth a cohesive strategy to end the stalemate in Afghanistan, Arizona Republican Sen. John McCain said he will submit his own plan within the Senate’s version of the defense authorization bill. “When the Senate takes up the National Defense Authorization Act in September, I will offer an amendment based on the advice of some our best military leaders that will provide a strategy for success in achieving America’s national interests in Afghanistan,” McCain, chairman of the Senate Armed Services Committee, said in a statement reported by The Hill. However, absent from much of the dialogue in Washington about the Afghan war are the local and regional political issues at the core of the conflict. “Analyzing the conflict as a test of strength between the Taliban and the Afghan government on the battlefield is wrong,” said Dr. Barnett R. Rubin, a senior fellow and associate director at the Center on International Cooperation, a nonprofit research center at New York University. Much of the discourse in D.C. has focused on building offensive capabilities to end the stalemate, a plan touted by Nicholson in February. That plan requires providing new air-frames, such as UH-60A model Black Hawks, to the Afghans and increasing U.S. advisers by several thousand to push Americans closer to the front lines to help with coordinating airstrikes.